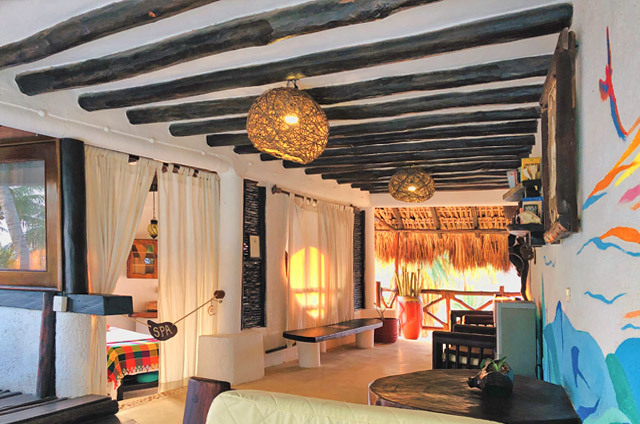 The Beachfront Hotel La Palapa is conveniently located in the popular Holbox Island area: an idyllic oceanfront location at just one minute walking away from the main square in the center of the tranquil Holbox village, heart of island life with Cancun, Playa del Carmen, Tulum, Chichén Itzá and all the most important ancient Mayan ruins of the Yucatan Peninsula at just two hours away. 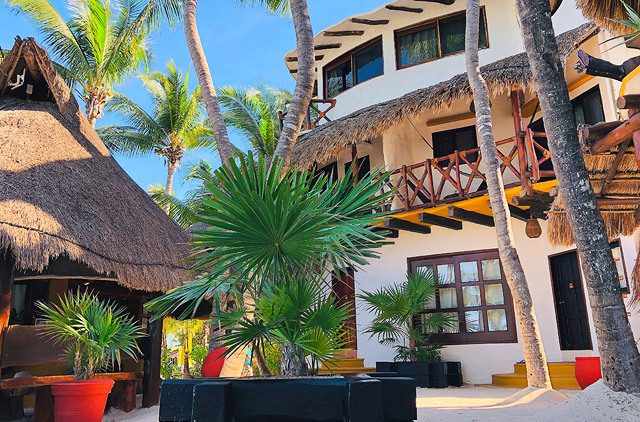 Designed with Colonial-Caribbean style, the Beachfront Hotel La Palapa is a romantic hotel for adults only with 25 rooms, all with air conditioning, free Wi-Fi internet, private bathroom with our typical seashell shower head. 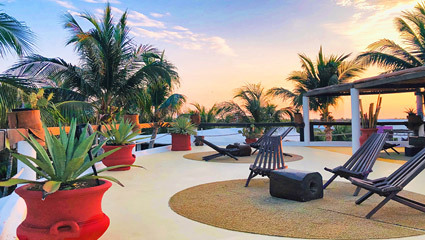 Relax in our palm garden with lounge chairs & hammocks overlooking the sea. 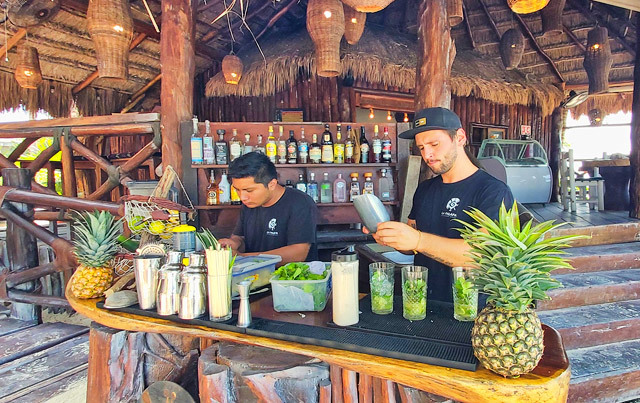 The Beach Bar, set under a cozy beachfront palapa overlooking the Caribbean Sea, is the perfect spot to enjoy tempting dishes and amazing cocktails all day long. Breakfast, tropical cocktails and snacks are available throughout all the day. 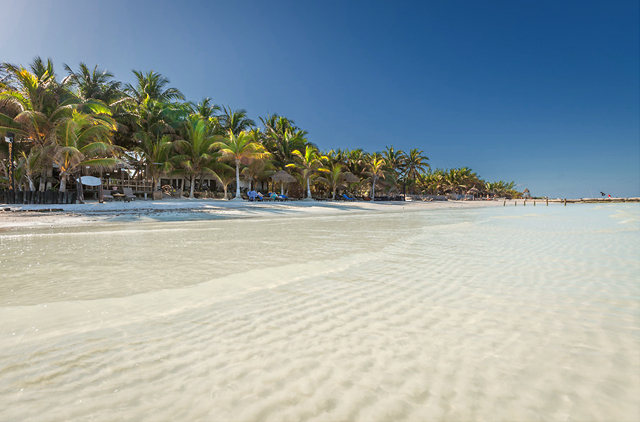 The spectacle you can see with your eyes, the sea, the palm trees, the white sandy beach and the tropical sunset, is just the beginning of your experience here in Holbox. 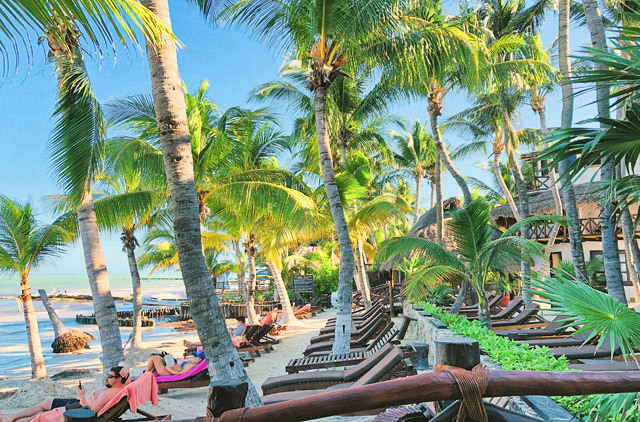 In the morning, you can have a rich and inspiring Continental Breakfast and, during the day, fresh cocktails and snacks under the palm trees of our beach club. 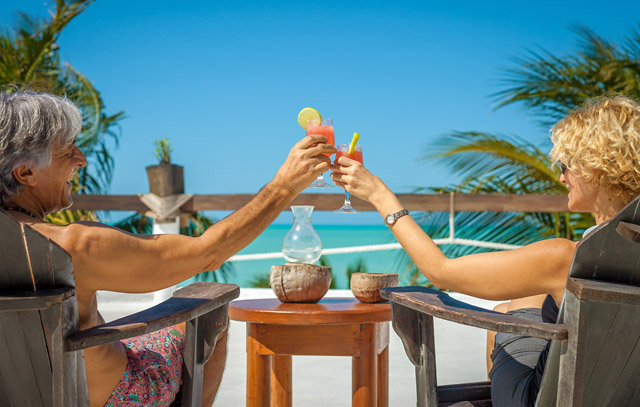 The magic tropical sunset, enjoying a nice drink, will be an unforgettable experience that you will want to relive every day! 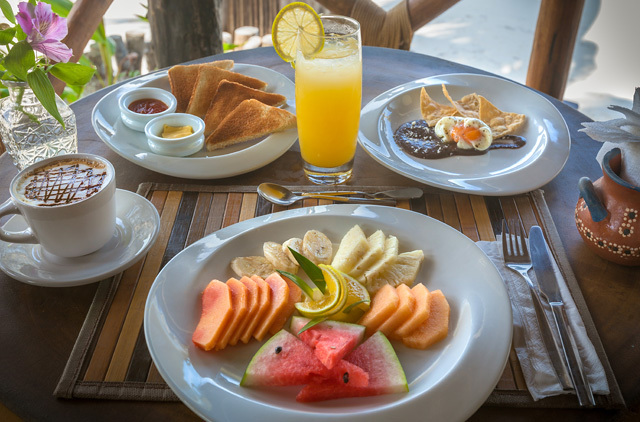 For our breakfast we select all the components with careful consideration, such as seasonal fruits from the local area, natural juices, jams and marmalades ending with a nice italian espresso coffee, capucciono or tea. On the third floor, book lovers can sit and relax in our Reading area that features comfortable chairs, tables, books, free wi-fi internet and a ocean view balcony. 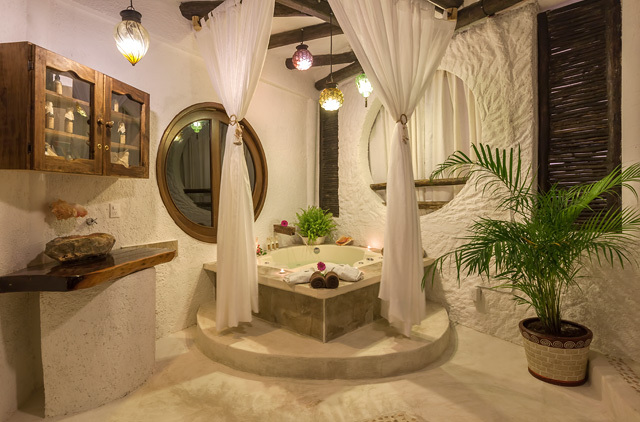 ... and one outdoor SPA with exclusive use of our panoramic Jacuzzi in the rooftop: the perfect setting also for a romantic dinner with the alluring backdrop of the Caribbean Sea, where couples can delight an exquisite menu under the mexican moonlight. 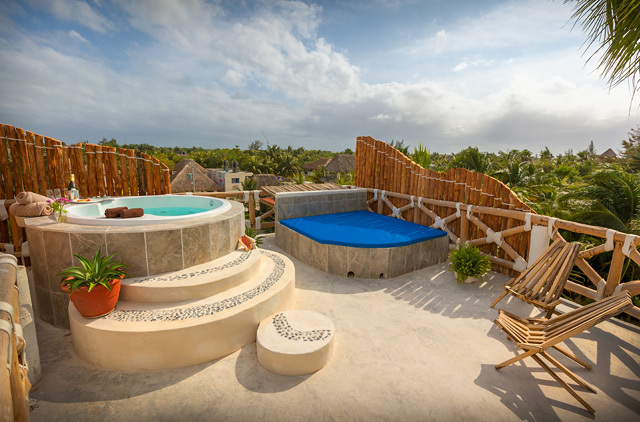 ... the ideal place for relaxing and sunbathing or simply enjoying cocktails with friends in the open air, amazed by a breathtaking view over Holbox island and the ocean. If you have any questions or need additional information, please contact us through our Form or by calling at (+52) 984 8752185. We look forward to hearing from you! “HUNAB KU” is the ancient Mayan symbol associated with the expression "In Lak'ech" translated as "Tu eres mi otro yo." In English, this means: "YOU ARE MY OTHER I". For us, that's the best way to define our Hospitality: "Guests are always part of us, the centre of our attention !!!" 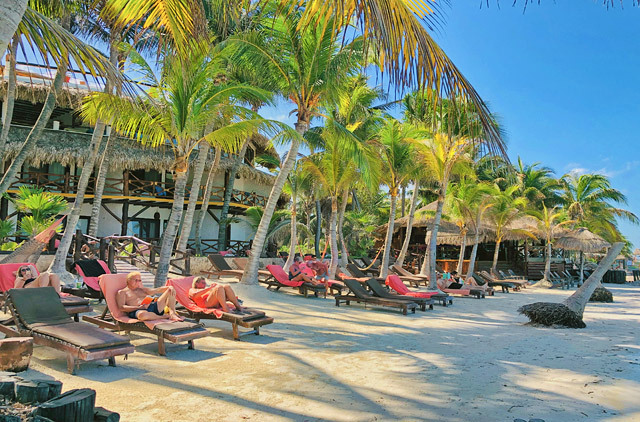 The Beach Bar offers you the mexican warmth and hospitality. 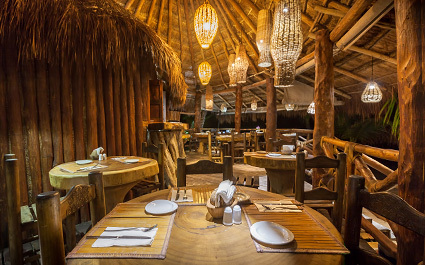 It is a real corner of paradise, taste and relax! Our rooftop Terrace & Solarium is the ideal place for relaxing and sunbathing or simply enjoying aperitifs with friends in the open air. 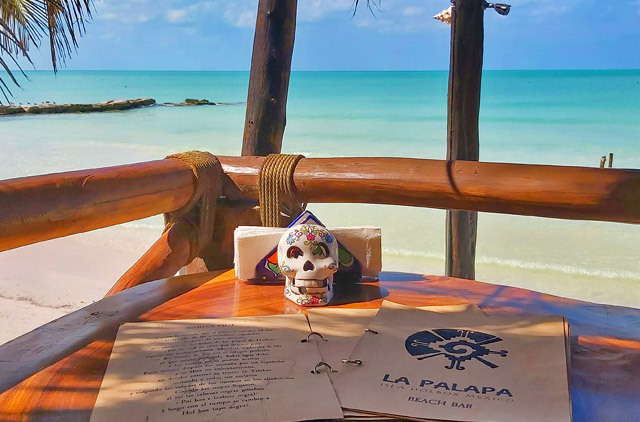 Beachfront Hotel La Palapa sits on one of the most beautiful stretch of beach in Holbox. 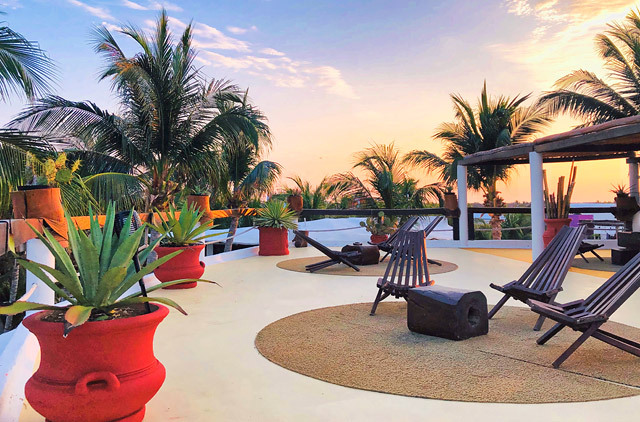 Check out our Gallery to see this marvelous piece of Paradise, where the Caribbean meets the calm water of the Gulf of Mexico. 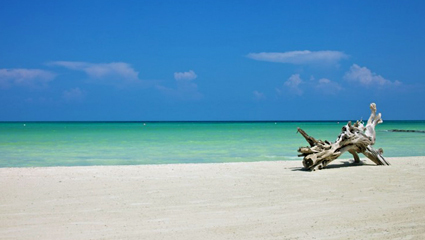 Holbox is a beautiful island with a long white beach, paradise for who want to enjoy water sports such as Windsurf, Kitesurf and Kayak. 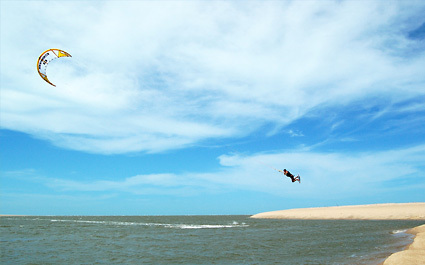 Diving, Snorkeling and Fishing can be enjoyed in guided tours, listed on our Tours & Activities page.